With 13,000+ organizations and more than 1M+ users, Wrike is one of the biggest providers of a project management tool on the market. Wrike works completely web-based with access from any web browser or mobile device (App). For the login you can use your own account, Google account, Office 365 account or your Company credentials (SSO). When you login, you have a very clear and structured overview of your options. On the left side, you can find the menu with Inbox, My Work, Dashboard, Stream, Reports and Projects, on the right side a customizable dashboard where you can add your personal overview, or the overview of your team. You can search a task and create a new task/request at the plus button easily. The first option in the menu is the inbox where you receive all information from your team, notifications, news etc. In My Work, you see your tasks of the day, the week, next week and later. You can create new tasks with one click or have a look at the tasks. At the Dashboard, you can see which tasks are new, in progress or completed. You can also find your team ones. Stream is like a blog or an activity stream where you can see what happens in your team or the tasks you follow. On Reports, you can create a customized report of your projects, tasks, overdue tasks, unassigned tasks etc. On projects, you can see all projects you are involved in or projects created privately for yourself. You can create Tasks, Subtasks, Folders, Projects and Request forms. Planning with the Gantt-Chart Timeline or make Resource Management for your projects, create Templates, Time & Budget Tracking. Communication works with @Mention to let others see your message in their workspace or involve another member to your tasks for questions, proofing or discussion. This is also possible with external people. You have a personal Dashboard (My Work), Proofing & Approval, Live Activity Stream, Mobile APP, Email & Calendar Synchronization. It is possible to create project and team reports about any type of matters. Create own status and workflows, add and customize fields, create user groups and set permissions as well as customizing your dashboard. There is not enough space to name all possible integrations: Zapier, Jira, box, GitHub, Gmail….be sure you have plenty options. Wrike offers Strong Authentication, Role-Based Access Control, Data Center Security, Data Protection for your security. 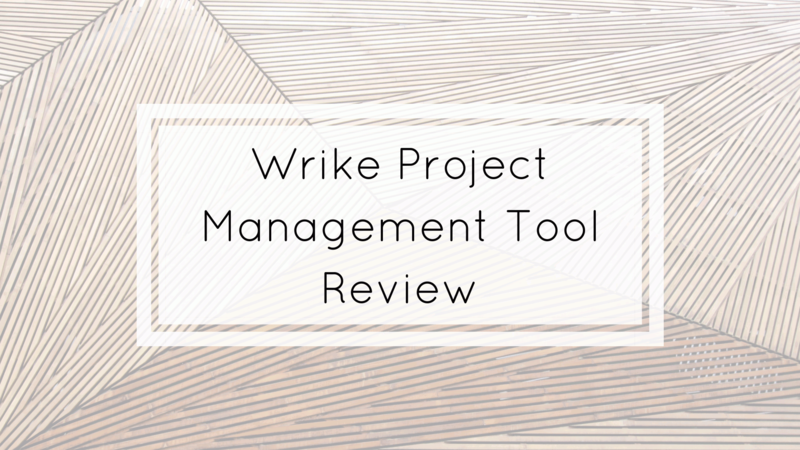 Wrike is easy to handle and provides a lot of functions from Task Management to customized Reports. In the beginning, the amount of functions seem to be overwhelming but you can attend different Wrike webinars which are very useful. In the end, this tool provides you everything you need for a running professional project management. Wrike is suitable especially for marketing teams, creative teams, project management teams and product development teams. For more information visit Wrike or check out our Project Management Software section.